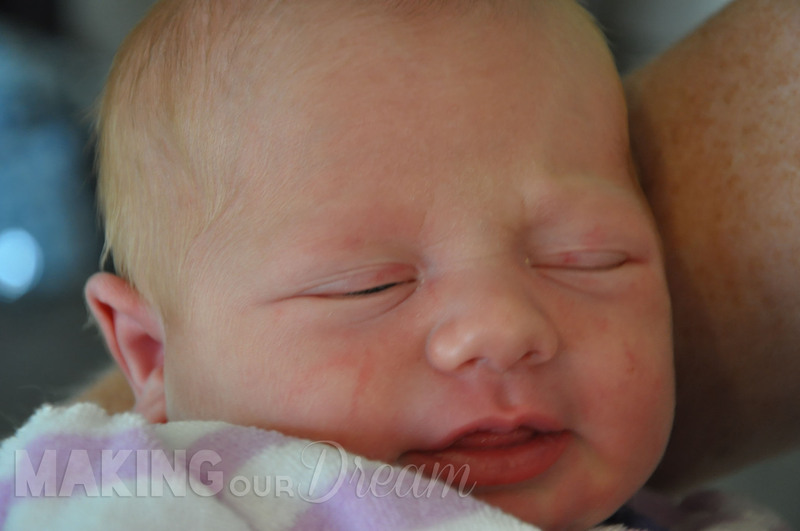 Making Our Dream | Camille’s Birth Story: VBAC Success! When Jason and I went in for my last regular OB appointment, on Monday, 10/15/12, two days before my due date, we were ready to hear more frustrating and familiar facts – not dilated, not soft, floating… yada, yada, yada. The nurse called my name, I obediently followed her to the scale (I maintained my weight the last month of pregnancy – wooHOO!) and sat for my blood pressure to be assessed. I coyly told her I hoped this was the last time I saw her for a while. She laughed and agreed. As we followed her down the hall to our exam room, I felt it. A small gush of fluid that soaked the entire crotch of my favorite maternity skinny jeans. “Um, hmm, I uh, just felt some fluid leak,” I casually explained to the nurse while glancing at Jason who’s eyes popped straight out of his head. She left us alone in the room and I immediately launched into planning mode. My doctor came in, calm and matter of fact as usual. She didn’t rush to test the fluid – which left me a bit perplexed. Instead, she did all of the normal tests first – checked baby’s heart rate (120), measured my belly… then went for the good stuff. Her initial assessment was that it was not my water breaking. I was not dilated and only about 60% effaced. Great. That’s not what I wanted to hear. She left the room to review a sample of the fluid under the microscope, while I started whining. I really was. SO DONE being pregnant. What is it with those last couple of weeks of pregnancy? They are terrible… especially with a very busy 16 month old who doesn’t slow down for a minute. I put my soaked jeans back on. Thankfully, I wore a long shirt that day. I had a few errands to run near my OB’s office and I really didn’t want to run home and change. Also, Kenton had spent the previous night at my parent’s house. So, he was still hanging out with grandma and I wanted to take full advantage of the toddler-free time. I was ANNOYED. Not only was I nearly 40 weeks pregnant, I was gushing fluid that wasn’t my water breaking and starting to feel really moody. PMS’y-moody. I swung by the supplement section and picked up some castor oil, per the recommendation of a friend and vowed to take a swig the next day. (As I said, I was SO DONE.) I quickly finished up at the grocery store and was on to my next errand – dropping off a few of those groceries at my in-law’s condo. My MIL was arriving the next day. She was going to spend three weeks helping us out. She had not seen Kenton in about six months, so we were all greatly looking forward to the impending airport reunion the next morning. I put some milk in her fridge, bananas on the counter, flowers on the entry table, and then got another gush. Grr. I am as mild as they come. The mild salsa at Chipotle has a bit too much kick for me. I order my pad thai at a “0” spice level. So, the hot sauce decision was a clear message to the occupant of my belly – time’s up! Remarkably, I inhaled that meal, hot sauce and all, and barely felt a thing. After I got home, I changed into some pajama pants, put my jeans in the wash and called my mom to ask if she could keep Kenton for a few more hours. I was on my third pair of PJ pants because the gushing kept coming and I soaked through them. I was very grateful that I had already been to the doctor’s office and confirmed this wasn’t my water – because if I didn’t “know” that, I would probably be sitting in a waiting room all afternoon for more tests. So, I called the OB office and the nurse told me to get my arse to the hospital. Geez, people can be pushy. 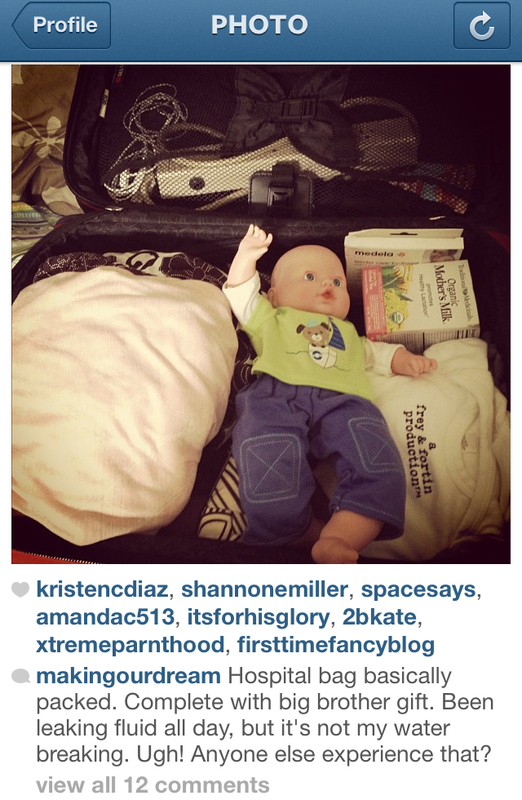 But… the bag wasn’t completely packed, the house was kind of a mess, I needed to get dressed, straighten a few things in the nursery, charge the battery on the video camera… you know, way more important things than birthing a child. Thankfully, my triage nurse was the sassiest sister I’ve ever met and exactly the personality I needed that day. The two of us had a good laugh about my “odd” symptoms and how positive I was that I would be going home shortly. She got a sample of the fluid and soaked a test strip of paper in it. So, it was 5:00pm by the time I found out my water had indeed broken, when it probably happened (or started happening) at 10:00am. In my defense, this breakage of water was way different than Kenton’s birth story. In that case, my water gushed like a broken dam all over the… shower (convenient). This time, my water broke in smaller gushes, starting at my OB’s office, but they told me it wasn’t my water and I BELIEVED THEM. Still not sure how that happened. 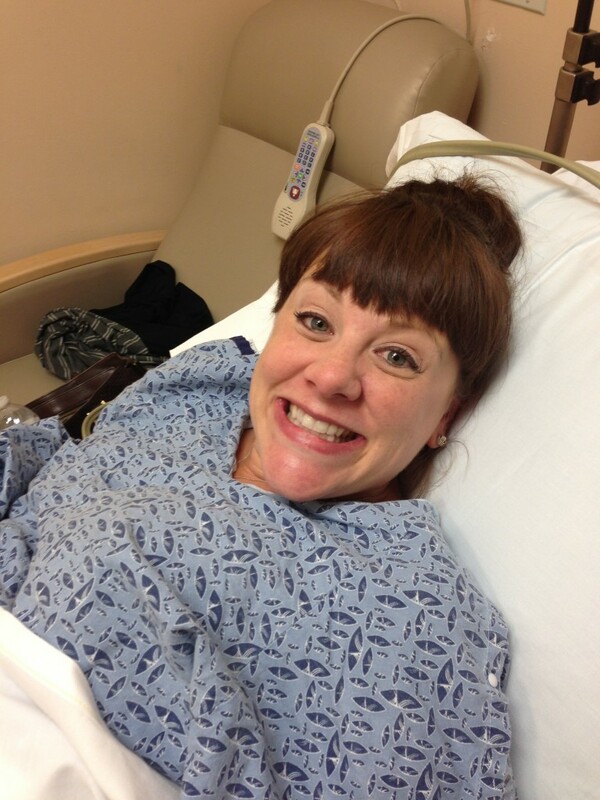 So, seven hours and several gushes of fluid later, I had finally dilated to… drumroll please!… one centimeter. Wah-wah-waaaaaahhhhhh! I had also gone from 60% to 80% effaced. Not exciting… but it was progress. My OB was pleased my body had done something on its own and we were all still hopeful for a successful Vaginal Birth After Cesarean (VBAC). So, we set a plan in motion. A plan I dutifully reported on Instagram. First, we started a slow Pitocin drip. The idea was to let me slowly labor all night, then around 4:00am we would up the Pitocin and have a baby sometime in the morning. This plan would give my body a chance to slowly dilate and increase my VBAC chances. It sounded like a good plan, but I was still pessimistic about the VBAC. 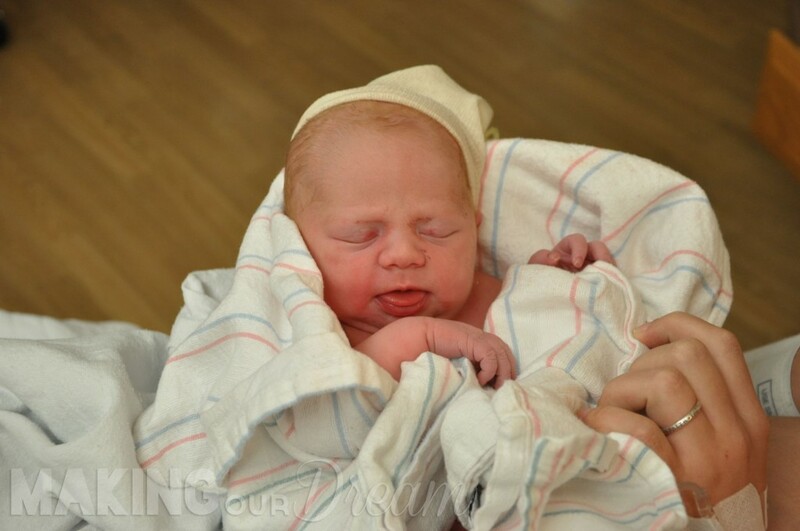 The beginning of this birth story was eerily similar to Kenton’s. My water had broken, but my body wasn’t laboring on its own. I needed Pitocin to help get the contractions going. Last time, that ended with a baby in distress and an emergency c-section. I had so hoped for a “normal” experience this go-round, but that wasn’t happening. But – how many birth stories are actually normal anyway?! With the Pitocin in, I started feeling contractions pretty regularly. They were manageable and at first I kept talking right through them. Jason was by my side the entire time. My mom stopped by with Kenton. I was so happy to see him! Since he had spent the previous night at my parent’s house, I had not seen him in more than 24 hours, so it was a sweet reunion. My mom had him in a new outfit (since I hadn’t packed enough clothes for him!) and she brought two sleepers for us… one that said “Little Brother” and the other, “Little Sister” – we were all starting to get really excited about which one we would need. Although, we were fairly certain which one we’d be keeping. Jason and I were still convinced we were having a boy. We had a boy’s name picked out, but were still deciding on a middle name. Most of our private conversations that evening involved tossing out different boy middle names. We had three girl names selected and briefly discussed those – enough to eliminate one name. We were undecided on girl middle names – but didn’t bother discussing those because we were certain we would be having a boy. By 7:30pm, my mom had taken Kenton back to her house to put him to bed and my dad had arrived. 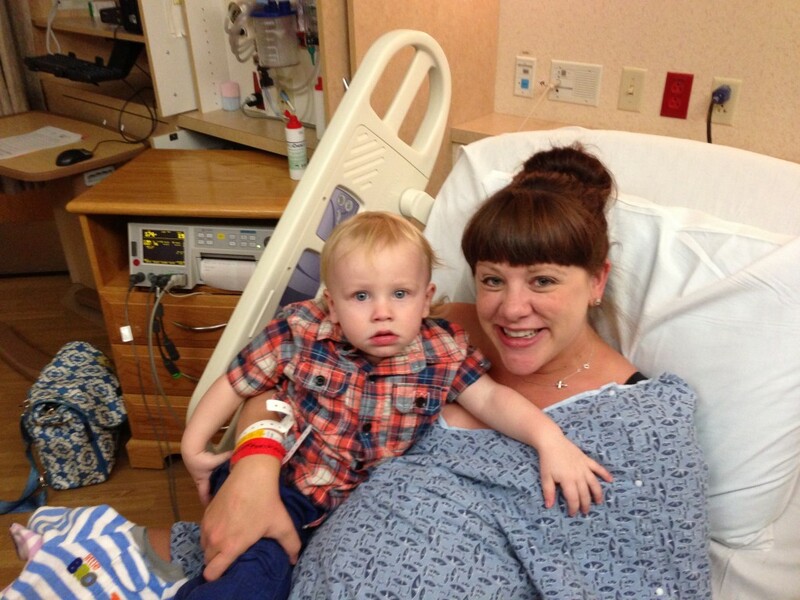 My contractions were now intense enough that I could not speak through them – but were still manageable. My nurse explained the anesthesiologist was set to go into a C-section at 9:00pm. I had until 8:30pm to decide if I wanted an epidural before then. Otherwise, I would have to wait until about 10:30pm. So, for the next hour, I was able to carry on a conversation with my dad and Jason – with the exception of :30-:45 seconds of the actual contraction. They were coming every two minutes at that point. I felt they were manageable, Jason and my dad were encouraging – so 8:30 came and went and I never called for the epidural. 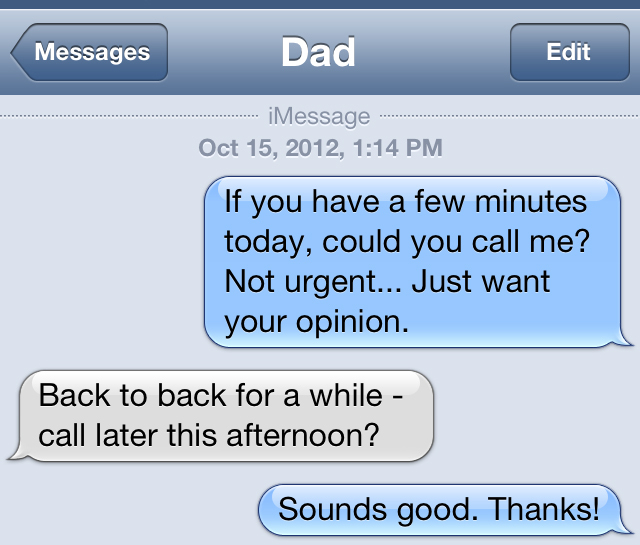 My dad left shortly after that – convinced we were in for a long night. I’m not sure what happened after that, but between 8:30 and 9:15pm, those darn contractions increased so much that I was DONE. I threw in the towel at 9:15 and was decidedly out of luck for at least another hour. My nurse, Stephanie, mercifully turned off the Pitocin, which barely helped. My body had taken the hint and labor was in full swing. The pain, for me, was intense. The contractions were really difficult. They lasted :45-:60seconds and were coming every other minute. I was not mentally prepared for drug-free labor. However, I learned quickly that if I tackled the contraction head-on as it started, I could control and manage how I handled the pain. If I lost concentration, the pain was much, much worse. For the next 90 minutes, I impressed myself by how I was able to handle intense labor. I also realized just how wimpy I was with Kenton’s labor. This time, I was much better focused and handled the situation really well… as long as the room was perfectly quiet and no one touched me. HA! It also helped (tremendously) that I knew I would be getting relief in the near future! 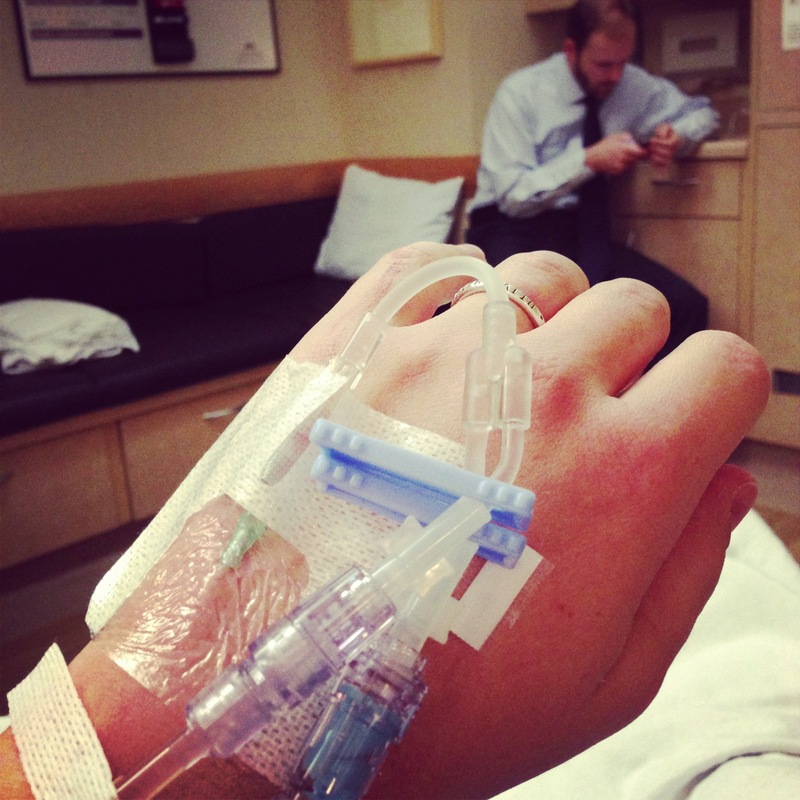 Around 10:30pm, Stephanie (finally) gave me some pain meds through my IV. They took a good amount of the edge off, but just 15 minutes later, my hero emerged, the anesthesiologist! Angels started singing from the heavens and my epidural was inserted at 10:45pm. I felt immediate relief. I slowly emerged out of my very somber/intense state and started thanking everyone in the room, profusely. However, I was only at 3cm. Even though the amount of pain I experienced told me I should be further along – it was actually good news. I made progress (despite having turned off the Pitocin) and it was slow progress – just what the doctor ordered! With the epidural on board, I was finally able to rest, as was Jason. We turned off the lights and I drifted off on my side in the hospital bed while Jason tried to get comfortable on the “cot” that’s actually a bench with a thin pad. Stephanie was planning to come back and check my progress at 2:00am. I rested, but didn’t really sleep – I was too excited! 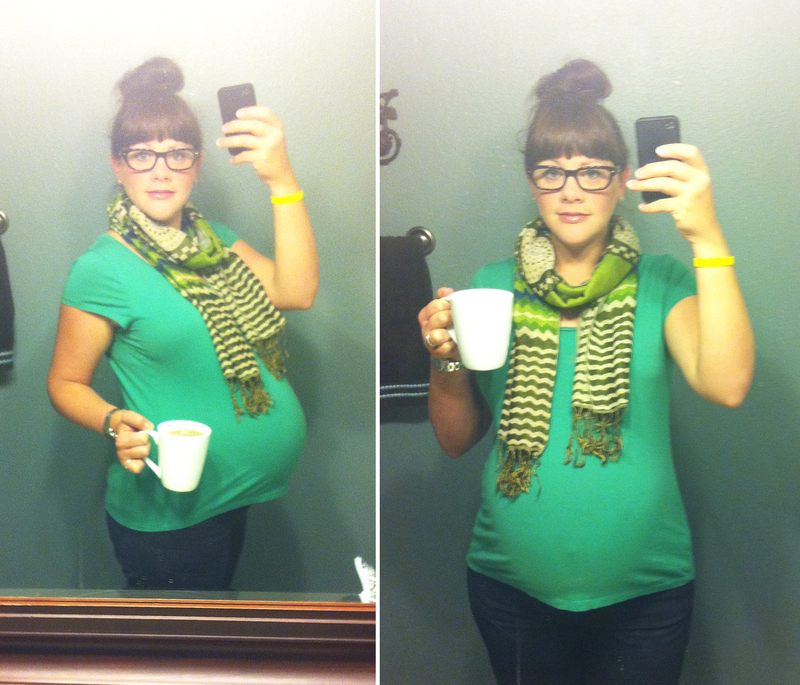 I began noticing I could feel the pressure of contractions on the left side of my body, but not the right. 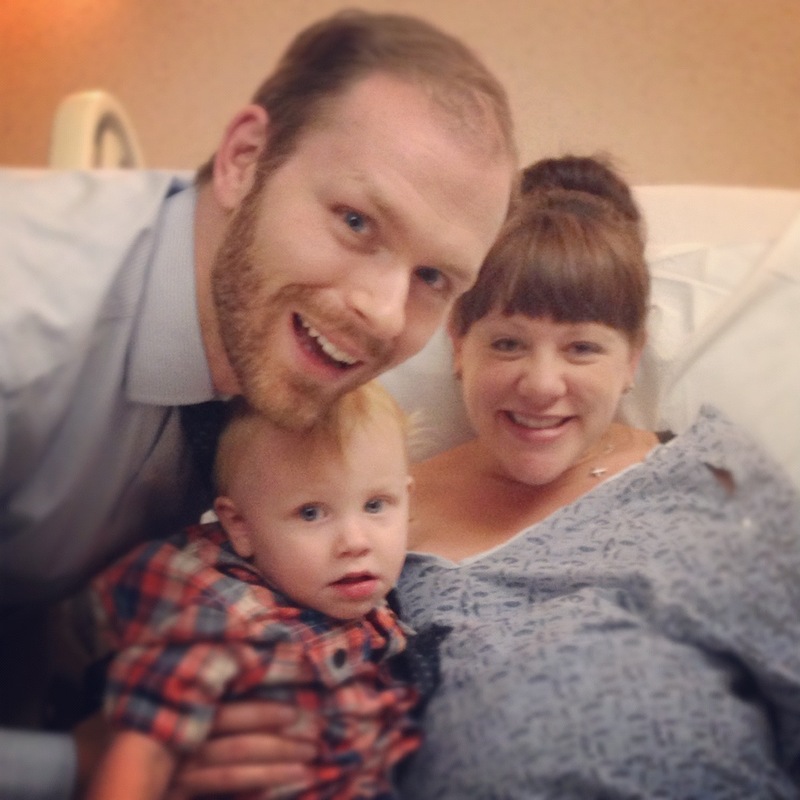 At first, I ignored it – but then began to fear the epidural was failing. So, I rang for a nurse – it was 1:00am. Stephanie came in and said she would flip me over to the other side to see if that would help. (Once that epidural is in, you can’t really flip yourself from one side to the other without assistance.) After she helped flip me, she decided to check my progress, even though it was an hour early. Because my water had broken, they were only checking my progress when necessary to avoid infection. 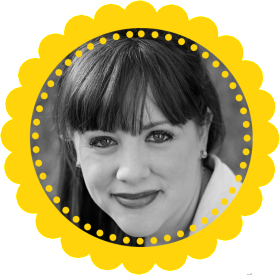 As she began to check, I watched her face intently – hoping for good news. Suddenly, she dropped her head dramatically, and swung it back up with a loud laugh. “You’re not going to believe this,” she laughed. “What? What’s wrong?” I started to get nervous. 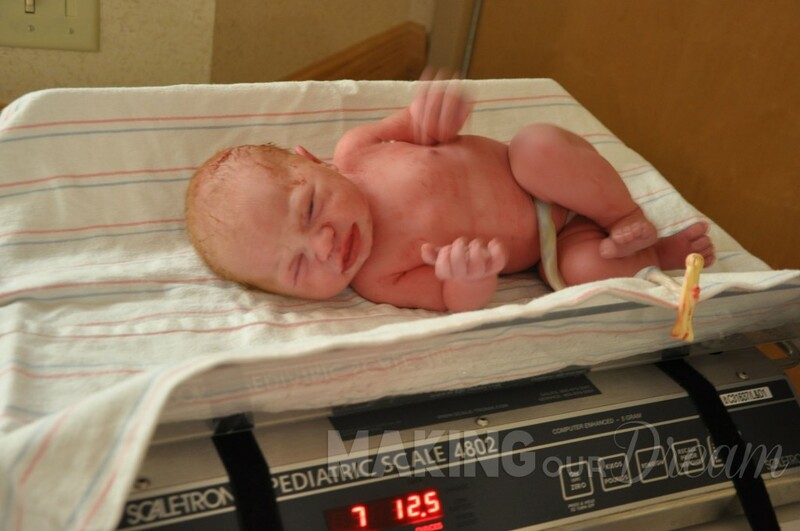 It had only been two hours since the epidural – when I was just 3cm. We were left alone for about thirty minutes. 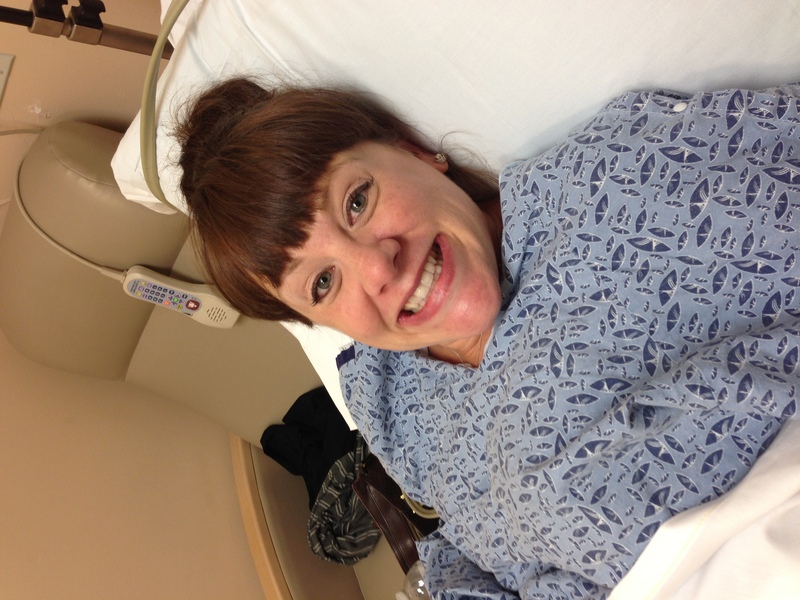 I didn’t feel anything – despite my fears, the epidural was working just fine (praise the Lord). Stephanie came back in and said she decided not call my doctor yet. We still didn’t know how long I would be pushing and since it was the middle of the night, she decided to only give my OB one wakeup call, when it was actually time for her to come in. “Okay. What’s going on?” I really couldn’t feel much – no pain, just pressure (just like everyone says). So, with that, I was left waiting for THIRTY MINUTES. I felt the pressure of every contraction during that half hour with the intense urge to push every single time – but I had to hold back. That was incredibly difficult. Finally, my OB arrived – in scrubs, no makeup, and seemingly amused. HELL. YES. LADY. WHATTOOKYOUSOLONG? GET THIS BABY OUT OF ME. NOW. RIGHT NOW. Immediately, the baby was put on my tummy and looked up at me, straight into my eyes. Eye contact with my sweet baby immediately = BEST. MOMENT. EVER. So, I looked, and sure enough – GIRL. I immediately started bawling my eyes out and kissing her all over her head and face… as she screamed beautiful healthy baby screams. For the record, I’m sure I would have had the same reaction if “it” was a boy – but there was something magical about the shock factor that made everything about that moment incredibly special. I got to hold my baby girl for about 15 minutes. I just kept saying, “I love you” over and over. I also told her how much her big brother was going to love her. 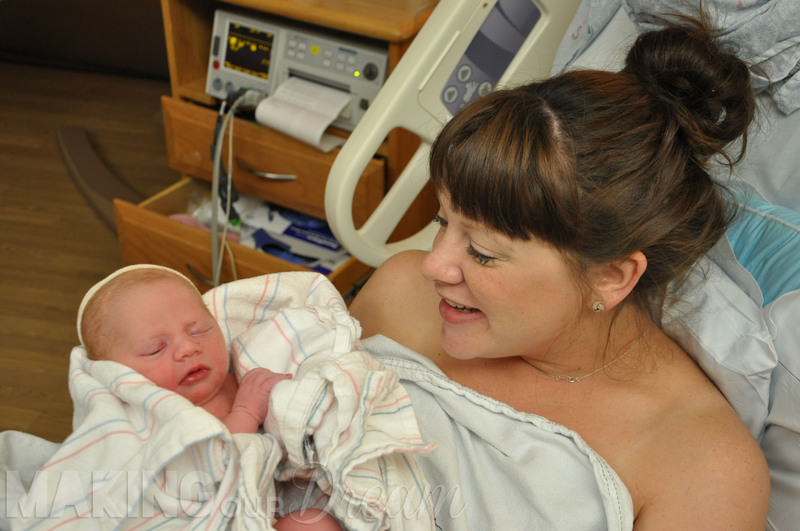 This skin to skin time was one of the primary reasons I was so incredibly grateful for a VBAC. Also, we could do delayed cord clamping/cutting. Jason cut the cord after it stopped pulsing. That drew lots of ooh’s and ahh’s from everyone in the room… apparently, it’s not too common. When she was back in my arms a few minutes later, I started nursing her. She took to it right away and stayed latched for 90 minutes! Of course, she probably wasn’t eating that whole time, but she did get some food in her belly and lots of bonding with momma. I immediately had hope that this breastfeeding experience would be leaps and bounds better than last time (and it has been!). “How’s it going down there?” I don’t know, it seemed like a good start. “Are you a bleeder? When you cut yourself, do you bleed a lot?” she responded, not looking up. “Is there a problem?” I tentatively asked. “You’ve lost… er… you’re losing a lot of blood,” she said, matter of factly – never looking up from her work, which I now noticed was somewhat frantic. Actually, a transfusion sounded better than surgery and definitely sounded like something I would survive to continue mothering my precious kiddos. Yep, a transfusion was okay – worth it. No problem. Sign me up. More than an hour passed after our baby’s birth, our nurse made several trips out of the room for more supplies… and finally, she declared me done. Transfusion not needed. My “battle wounds” were not particularly deep/severe, there was just a lot of them and they bled a lot – and I had a hemorrhage. In all, I lost 1200cc’s of blood. Not unless you consider the fact most women lose between 300-500cc’s of blood during childbirth. Just trying to keep you on your toes, doc. The time she spent working on me was not particularly scary or stressful. 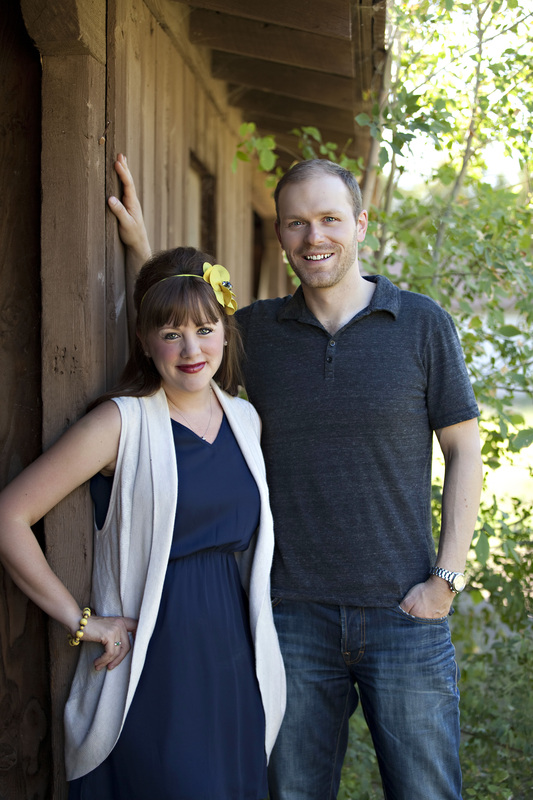 Jason and I were enamored with our daughter and the fact, WE HAD A DAUGHTER. It was, however, awkward to make any joyous phone calls while she was clearly working feverishly. So, instead of calling our families to tell them the good news, we talked about something kind of important – what on earth were we going to name this child? Eileen was my grandmother’s middle name. My dad’s mom who died when I was 16. I loved the sound of Camille Eileen and the family connection was appealing. But… we never discussed these name possibilities seriously… Because we were sure Baby Anders would be joining our family. But, here we were with a baby girl. And we had to make a decision. As soon as they told me she had red hair, I was drawn to Camille Eileen. My grandmother had red hair and, to me, that seemed like a lovely connection. However, I honestly liked all the names equally. I told Jason to pick. He hesitated. I reminded him that I basically picked Kenton’s name. 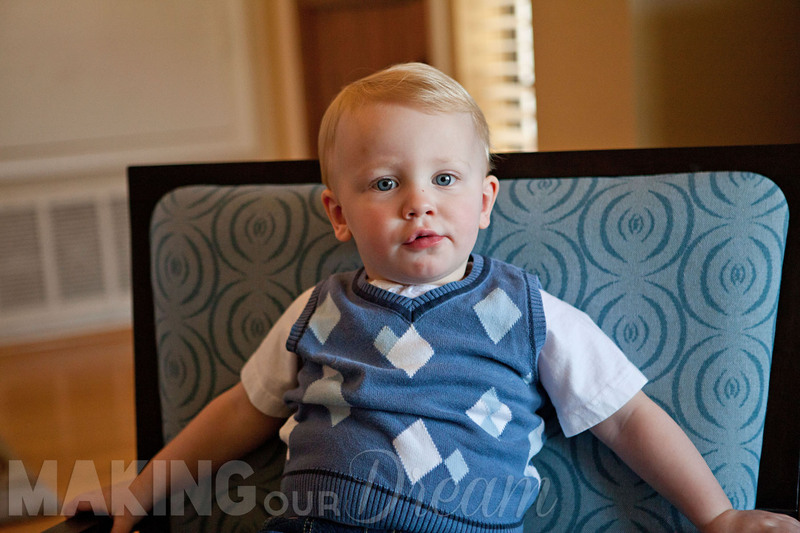 I wanted our son to have the same initials as my dad, KAF – and Kenton was the only boy “K” name that we liked. He remembered and agreed it was his turn. It was perfect. She is perfect. Back to reality, it was time for me to move out of the L&D room and upstairs to recovery. The nurse came to put me in a wheelchair. I stood up, turned, sat down, and immediately lost control of my body. My head fell back, my limbs became heavy, I could hear everything, but I couldn’t communicate. That really sucked, because the nurse called for someone to bring the “smelling salts” and I knew I didn’t want to smell those, but I had no choice. But, they did the trick and snapped me out of it… enough to get back in bed. Which I did and immediately went straight to sleep. Apparently, all that blood loss was catching up to me. Jason and Camille spent that time bonding while I rested. A couple hours later, they were able to transition me upstairs – but on orders of 24 hours of bedrest and an extra night in the hospital for observation. Also, ice packs, lots of ice packs – and drugs, the good kind (for 24 hours, then it was the not as good stuff). 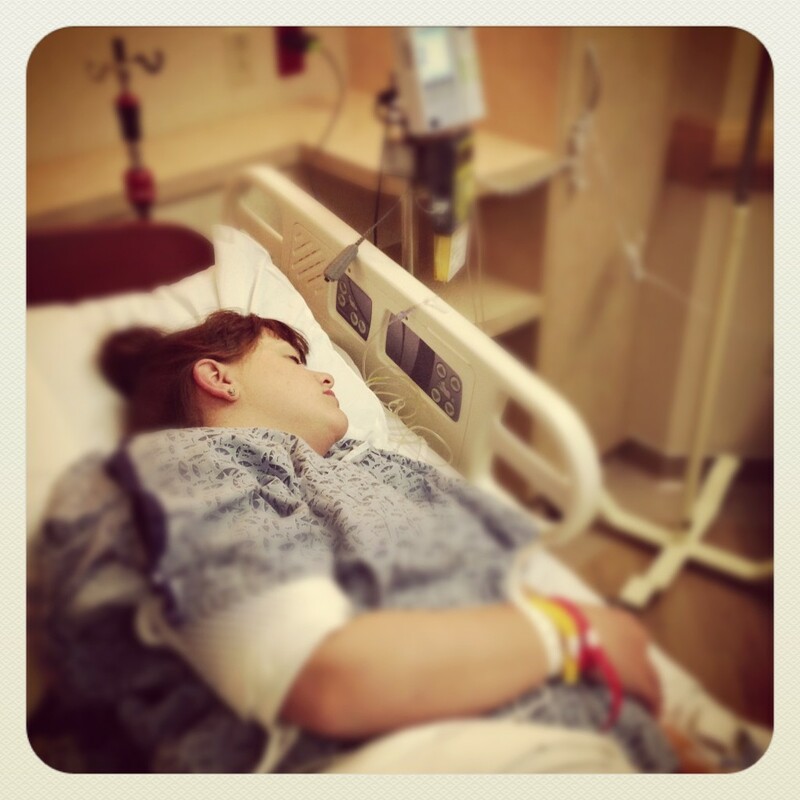 A full VBAC vs. C-section post is for another day. But, I will say I’m glad I was able to do a VBAC and even though my recovery was (and still is) a bit more involved than the average gal – I don’t regret it for a minute. I would take that over C-section recovery fo’ shizzle, especially with an active toddler at home. Which was exactly what drove my desire for a VBAC in the first place. I’m not going to be shy about it, I’m pretty darn proud of myself. As I should be, Amen? 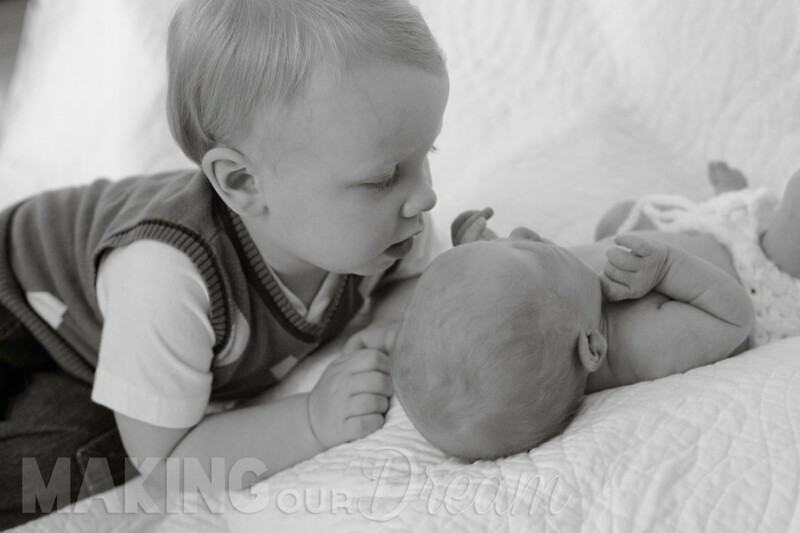 After all, I’ve got two amazing birth stories, which resulted in two amazing children. I am one blessed momma, with an incredible life. I could not be happier.